Little Explorers Preschool is an independent privately owned centre and is owner operated. We are a small centre that caters for up to 8 under 2's and 24 over 2's. We provide an atmosphere that is rich in quality interactions and have an outsanding natural environment. 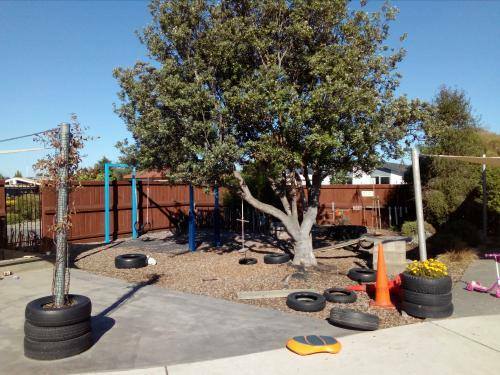 Little Explorers Preschool is committed to maintaining a stimulating programme that is flexible to the needs of our children and their whanau. The curriculum is based on the Principles of Te Whariki - the Early Childhood Curriculum and reflects the holistic way that children learn. The philosophy of the centre is that children learn through active exploration of the environment. We believe in providing a richly resourced environment with qualified educators who support the children to develop their full potential. When visiting Little Explorers Preschool, you will see our programming through displays and the interactions between children and their educators. If you interested in enrolling your child please contact us now. © 2008-2019 Little Explorers Preschool. All rights reserved.